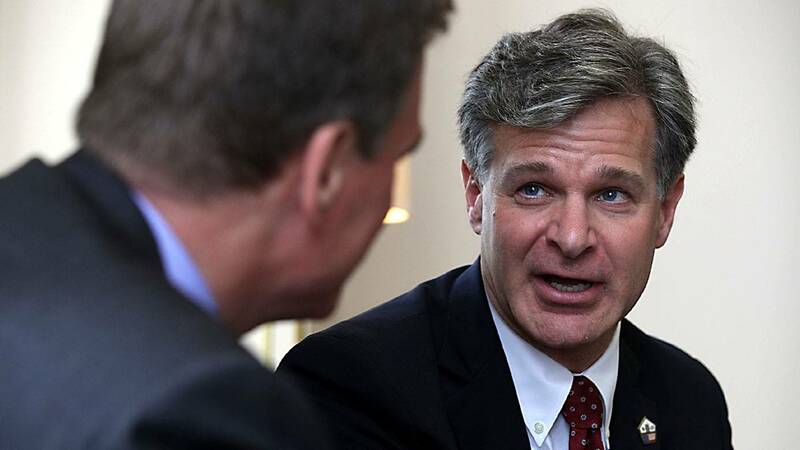 (CNN) - FBI Director Chris Wray upended the White House's timeline about when it learned of domestic abuse allegations leveled against disgraced aide Rob Porter. Sanders claimed Tuesday that the White House personnel security office had received the information from the FBI, but that it was conducting additional investigatory work before adjudicating Porter's security clearance. "The White House personnel security office staffed by career officials received information last year and what they considered to be the final investigative background investigation report in November, but they had not made a final recommendation for adjudication to the White House because the process was still ongoing when Rob Porter resigned," Sanders said. But even that statement contradicted claims made days earlier by White House legislative affairs director Marc Short, who on Sunday claimed that FBI officials"have not completed that investigation," and deputy press secretary Raj Shah, who said last Thursday the FBI's investigation into Porter was "ongoing." Sanders continued to sidestep a series of questions probing for more specifics about when West Wing officials became aware of the allegations leveled against Porter. Despite reports to the contrary, Sanders maintained that White House chief of staff John Kelly had only learned of the allegations last week, but noted that was her "understanding" at the moment. She also said she could not definitively say whether the office had shared the findings with any West Wing officials.